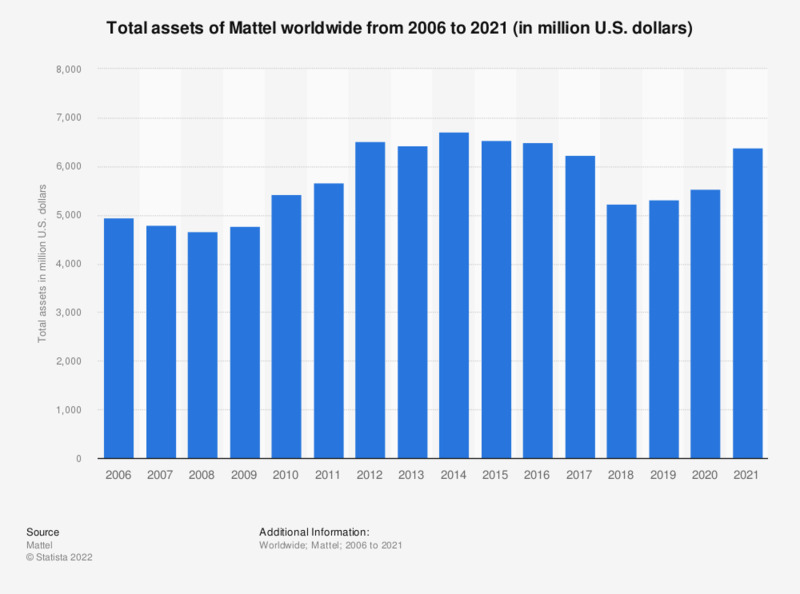 This statistic shows the total assets of the U.S. toy manufacturer Mattel from 2006 to 2018. In 2018, Mattel had total net assets valuing approximately 5.2 billion U.S. dollars. * The data has been rounded to provide better understanding of the statistics.